Peter the Great established St. Petersburg on the Gulf of Finland 300 years ago to give the Russian polity access to a warm water ports. Today, the need to acquire year-round, unfrozen sea access plays a large role in President Putin’s geopolitical calculus. Although it receives less attention than Russian exploits in Syria and Ukraine, the Arctic seems to be the next chapter in the quest for sea trade lanes, with military and infrastructural build up in the region at it’s highest levels since the fall of the Soviet Union. Despite consensus from climate scientists on the potentially irreversible effects of climate change, particularly in the case that we reach the “critical threshold” of Arctic sea-ice loss, the narrative surrounding Russia’s presence in the Arctic has been largely focused on security and economic concerns. The Arctic Climate Impact Assessment conveys that melting sea ice will open up opportunities for trans-arctic shipping, but that infrastructure development has the possibility to further increase environmental damage. Additionally, Russian willingness to invest in Northern offshore drilling has significant environmental implications as climactic processes unique to the Arctic have a disproportional impact on global warming. Canada and other Arctic States must work to keep the issue of climate change from being coopted by concerns over Russia’s military posturing, even if this demands negotiating environmental regulation with Russia by making difficult concessions. Members of the Arctic Council, the intergovernmental forum that regulates coordination between states who have sovereignty over northern territories, have a potential ally in China, an emerging global leader in environmental issues and one of the countries with whom Russia would like to establish stronger trade ties through a Northern Sea Route. Security fears, although they may be warranted, risk dominating the conversation when environmental impacts are increasingly time sensitive and consequential for human livelihood. A common thread running between recent Russian intervention in Ukraine and involvement in the Syrian civil war is the greater sea access acquired and maintained in both locations. Russia gained the port of Sevastopol on the Black Sea by annexing the Crimean peninsula and military support for the Assad regime in Syria has helped protect the Russian naval base at Tartus, allowing for a window onto the the eastern Mediterranean. Thanks to rising global temperatures and rapidly melting Arctic ice, the North presents strategic and economic opportunities that were previously unrealizable. According to Foreign Policy, Russian presence in the Arctic includes multiple new brigade combat teams, 14 new operational airfields, 16 deep-water ports, and 40 icebreakers. Other Arctic countries lag far behind in terms of military and infrastructure build up. For example, the United States has only one functional icebreaker, a technological investment worth billions of dollars that is key to gaining greater access to Arctic waters. Putin has made his intentions very clear in regards to Arctic expansion. In 2011 he stated that the Arctic would eclipse the Suez Canal as the quickest trade route to Asia and “want[ed] to stress the importance of the Northern Sea Route as an international transport artery that will rival traditional trade lanes in service fees, security and quality.” Beside increased trade with countries in Asia, an Arctic trade could also hope to economically revive Russia’s most northern regions, which make up about one-fifth of the country’s territory. 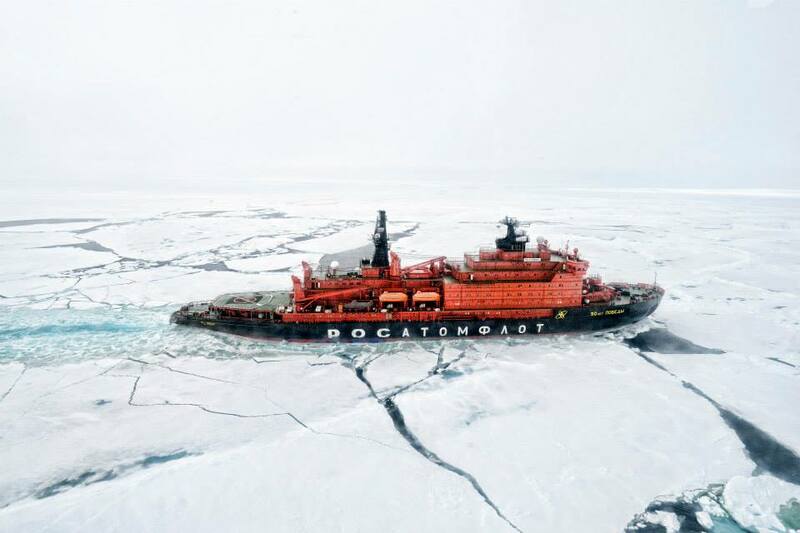 The Arctic also holds an estimated 22 percent of the world’s undiscovered oil and gas reserves, vast untapped resources which Russia energy export oriented economy would like to take advantage of. With the potential for economic gains in Arctic resources extraction, there has been little consideration of the adverse environmental impact of such policies. Until recently, U.S-Russian relations in the Arctic were discussed in terms of “an echo of the Cold War,” conveying yet another realm for potential confrontation between the two major powers. Arctic countries such as Sweden and Norway have also expressed security concern about increased Russian build up in the region. As with most foreign policy issues, the election of Donald Trump has made the U.S. stance on the Arctic less clear. Trump’s pick for Secretary of State, former ExxonMobile CEO Rex Tillerson, had previously agreed to joint oil exploration operations with the Russian government but could not follow through with the plan after sanctions against Russia took affect in 2014. In place of fears over renewed confrontation, coverage now focuses on the possibility of a problematic U.S.-Russian collaboration. Whether or not the two will cooperate in economic endeavours, President Trump’s dismissal of climate change as “overblown and overstated” suggests that the new administration will not protest Russia’s ambitions to develop infrastructure and extract resources in the Arctic on environmental grounds. Both media narratives, Cold War tensions or potential economic cooperation neglect the dire environmental consequences of Arctic development in general. Although disadvantaged without the US’s support, demands for environmental regulation in the Arctic will have to come from other Arctic Council countries, particularly Canada. The Trudeau government has shifted away from former Prime Minister Harper’s northern policy, which sought to assert Canadian sovereignty in the region through natural resource development. 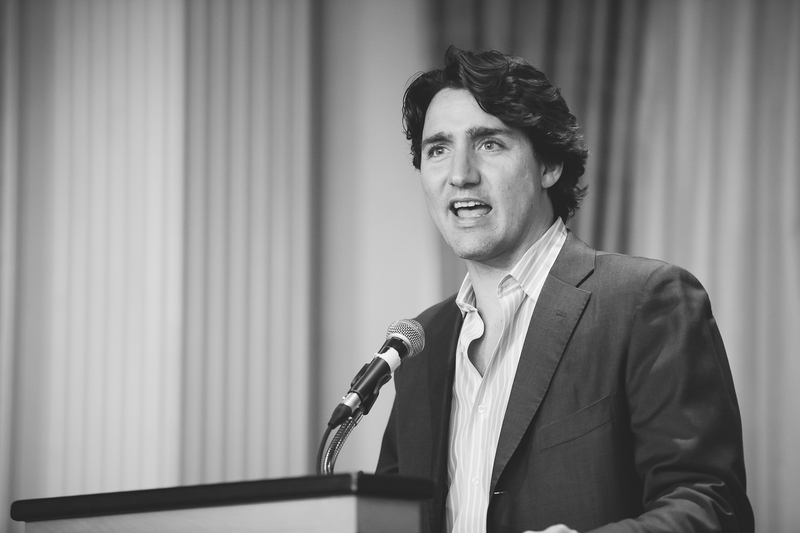 Prime Minister Trudeau has adopted a new Arctic policy, and conveyed his commitment to environmental concerns by launching joint measures to ban offshore drilling in the Arctic with the Obama administration this past October. Although the ban earned the Canadian government praise, the move seems largely symbolic. Michael Bryers, a Canadian scholar on international law, argues that there is little economic activity in the Canadian arctic at the moment, so the ban indicates verbal support for environmental protection more than a deep commitment or change in the status quo. For Canada to move beyond empty action in Arctic environmental affairs, Trudeau must directly confront the economic intentions of other countries. As it currently stands, Canada’s Arctic policy indicates a greater willingness to work alongside Russia. The Trudeau government expressed that cooperating with Russia was “eminently sensible” given their shared interests and collective control of over three fourths of the region. Russia will not give up its economic ambitions in the Arctic, but increased international pressure on the way it carries out activities could blunt some of the adverse environmental impacts. It would be possible for international institutions such as the Arctic Council to create agreements regulating activity in the north if Russia receives something. With a strong international taboo surrounding cooperation with Russia among western Democracies, revoking sanctions is a highly contentious issue despite legitimate concerns over their effectiveness. Patrick Clawson at the Center for National Interest points out that sanctions imposed by the US have established a moral stance but failed to produce concrete gains in terms of changing Russian conduct. Canada’s sanctions against Russia following the 2014 intervention in Ukraine are quite similar and evoke the same criticism. Arguing that these sanctions are largely symbolic is not to underestimate the power of symbolism. More than avoiding economic loss, Russia would benefit from western acknowledgement of intervention in Ukraine through lifted sanctions. Dropping sanctions would incur criticisms but Canada would gain something more than symbolism, that is, a potentially safer and more sustainable Arctic. Action on climate change is beyond the reach of any one country, but Canada and other Arctic states are not without potential international allies regarding environmental concerns in the Arctic. China, a major target of Russia’s potential trade via the Northern Sea Route, is likely to assume a role of greater leadership in global environmental initiatives given the lack of leadership left behind by the US given the Trump administration’s stance on climate change. The environment has been at the center of China’s political agenda for the past few years with increasing domestic pressure due to pollution related health concerns and a growing clean energy industry. China has continued to voice a greater sense of global responsibility regarding the environment, indicating a shift towards more cooperation focused environmental diplomacy. In a recent address to the United Nations President Xi Jinping conveyed China’s commitment to sustainable environmental developed and reaffirmed dedication to the Paris Accords. Without US support for climate initiatives and Russia’s forceful pursuit of sea-trade access, there is an opportunity for both Canada and China to emerge as a pacesetter in environmental protection in the Arctic. The leadership vacuum invites meaningful action that goes beyond symbolic support for greater regulation. The dialogue surrounding a revanchist Russia in the North threatens to undermine the immediacy of global warming if economic and infrastructure developments move forward unchecked. With a climate denying executive branch in control just south of the Canadian border, Trudeau must make climate change in the Arctic his priority even if it demands unpopular cooperation.